Arthritis is inflammation of the joints causing difficulty in movement, swelling and redness and can sometimes cause a warming sensation around the affected area. It can occur in any joint of the body but usually arthritis begins in the fingers, knees and hips. There are over 100 different types of arthritis, some rare and others common, such as osteoarthritis and rheumatoid arthritis being the most common. The type of arthritis a sufferer has determines how and how long they are affected. Arthritis can sometimes get better on its own or as a result of natural remedies and treatments for arthritis. But, the majority of people with arthritis will discover they are affected by it in varying degrees over their lifetime. The word rheumatism is even more general, and is used to describe the aches and pains in the bones, muscles and joints. It is not widely known that arthritis can affect people of any age, also children. Arthritis is not just a part of getting older. However, some types of arthritis have a tendency to affect people in certain age groups, whilst others are more common in one gender than the other. Arthritis is stress related and occurs when calcium is withdrawn from the bones and deposited in the soft tissues. A natural diet and healthy lifestyle suitable to prevent this from occurring is needed, including Magnesium and Vitamin E, as a lack of these causes osteoarthritis. The hormone Cortisone which is naturally produced by the body relieves Arthritis. If the body lacks cortisone this is a sign of damaged adrenals. To naturally repair the adrenal glands and to aid in getting rid of arthritis you need Vitamin C, Vitamins B5 (Pantothenic Acid), B2 and B6. •	Vitamin C – it prolongs the effectiveness of cortisone and is needed 70 times more to protect the adrenal glands. •	Essential Fatty Acids – a lack of EFA decrease adrenal hormones. They are also needed because they form part of the body cell’s structure and lacking Essential Fatty Acids, these cells can be easily damaged, allowing calcium deposits to form causing an arthritic condition. With the presence of the oils, cells are strong. Vitamin E protects the cells from disintegrating and the oils from being damaged. •	Anti-stress factors – stress causes damage in the body. To reduce or prevent this damage a diet containing liver, brewer's yeast, full-fat soy flour, wheat germ and cooked green leafy vegetables should be consumed daily in large amounts. Many people with arthritis try a range of complementary or alternative therapies as natural ways to get rid of arthritis. What works for one person may not work for another and they may not offer you a cure, but they may ease the pain and stiffness. Massage has many advantages when treating arthritis naturally, it can improve blood flow to affected areas, help tone and relax the muscles, therey leaving you feeling more relaxed. Your partner or a close friend could assist you, or you can go to a professional massage therapist. Another alternative to ease your arthritis pain is self-massage, (kneading the muscles gently in an area which is painful to increase blood flow and bring warmth). You should massage around an inflamed joint and not the joint itself. As a form of arthritic pain relief acupuncture can be useful for low back pain and knee pain. Acupuncture is an ancient Chinese technique which involves inserting very fine needles into parts of the body. When inserted these needles feel like a little pinch but are aimed at triggering the release of endorphins (feel good hormones) as well as suppress the arthritic pain. Usually monitored by a physiotherapist, hydrotherapy allows the mucles and joints to be exercised in a warm pool. The warm temperature aids muscle relaxation and eases arthritic pain in the joints. The water supports the weight of the body, and because of this, the amount of movement in the joints should increase and naturally decrease the arthritic pain. Ginger and turmeric help reduce the inflammation associated with rheumatoid arthritis. In conjuction with having a special diet and trying alternative therapies to get rid of arthritis and its associated pains; artritis can be reduced further using natural health products. 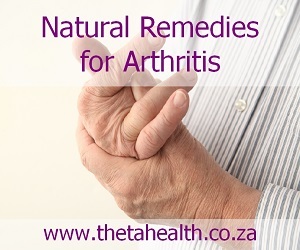 Using natural health supplements and herbal remedies for arthritis aids in reducing and possibly getting rid of the arthritic suffering altogether. Dr Axe explains the natural ways to get rid of arthritis. Dr. Axe explains the best natural ways to get rid of arthritis.